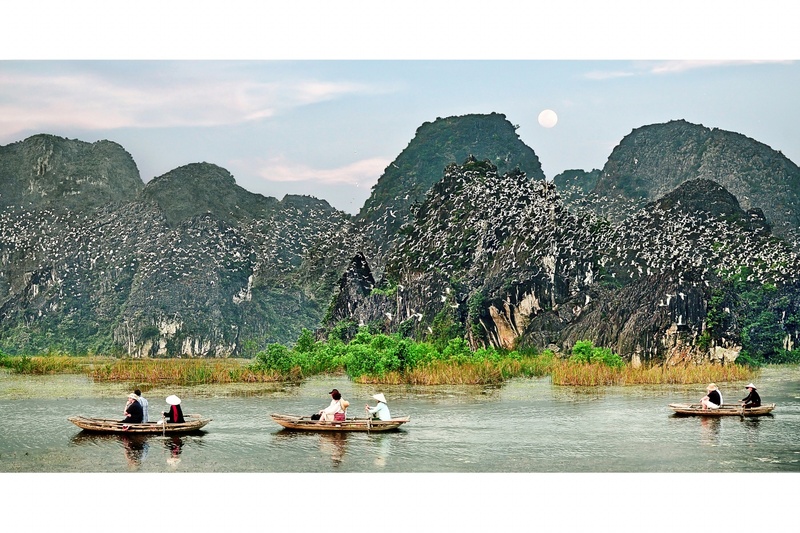 Vietnam is a country that is rich in traditional culture and historical relics with beautiful landscapes. 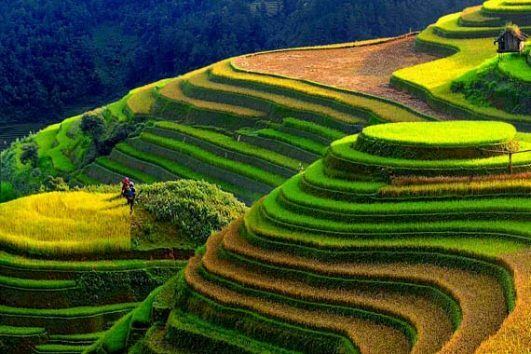 Especially, in the northern Vietnam has beautiful nature heritage such Trang An Nature Complex, Halong Bay – one of new seven nature wonder of the world and with amazing terraced rice fields, friendly people in majestic mountainous of Northwest of Sapa wherever you travel and explore. This trip is the absolutely way to discover culture and charm’s northern Vietnam. This full day tour will take you around Hanoi’s most interesting sights, in this morning, our guide and driver will take you to visit the Ho Chi Minh Complex, Ho Chi Minh’s Mausoleum and his Stilts House, the Presidential Palace, the One Pillar Pagoda and temple of Literature nearby and the Old Quarter, known for its maze of 36 streets and former craft guilds. And then one of the city’s best museums, either the History Museum or the Ethnology Museum. And overnight in Hanoi. After breakfast at hotel, you will leave the hotel at Hanoi for Hoa Lu. About 10:30am arrive at Hoa Lu and visit Hoa Lu Ancient Capital. In 968, Dinh Bo Linh declared himself as the King. Since then Hoa Lu existed as the capital for the next 41 years (968 – 1009), of which 12 years was under the Dinh dynasty – King Dinh Tien Hoang, the country named Dai Co Viet, and 29 years later was under the Le dynasty – King Le Dai Hanh. In 1010, King Ly Thai To moved the capital from Hoa Lu to Thang Long – present day Hanoi. Hoa Lu became the old citadel. In Hoa Lu there are now 2 temples have been built on the ground of the old royal palace, one is dedicated to King Dinh Tien Hoang, the other is to King Le Dai Hanh. The visit offers a chance to know more about part of feudal dynasties and historical periods in Vietnamese history. 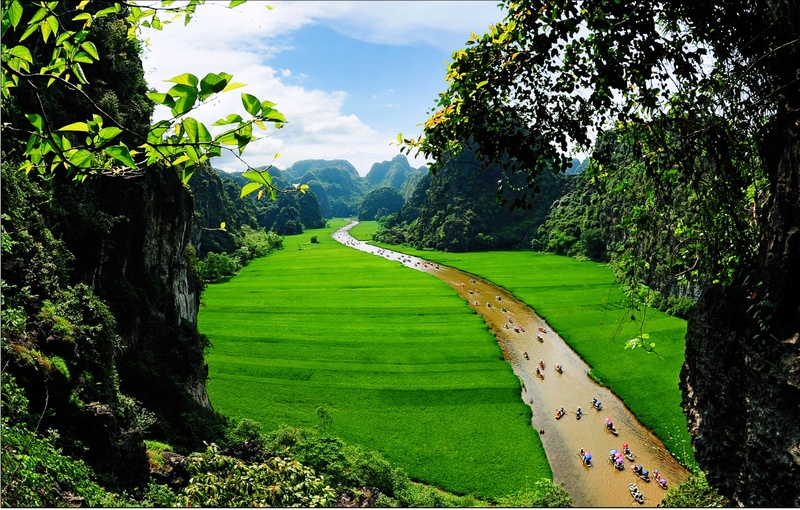 After lunch at local restaurant, you visit Trang An Natural Complex and then take the amazing boat trip to visit Trang An grottoes which is a gathering of 31 valleys, 50 cross-water caves, and home to 600 kinds of flora and over 200 kinds of fauna, many of them in the Red Book of Vietnam. 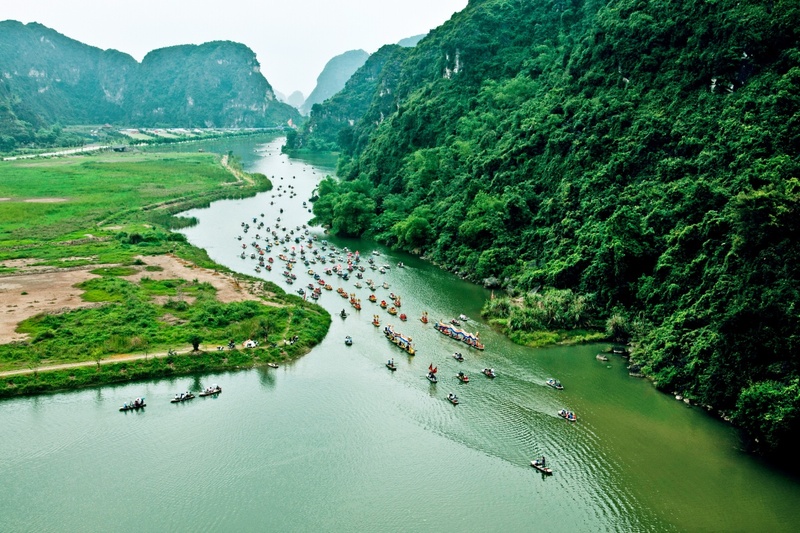 While rowing through Trang An grotto in the quiet, fresh air of the highlands, with only the sound of birds and the oars stirring the clear water and surrounded by magnificent forested mountains upon which graze white goats, visitors enjoy a heaven on earth. The train arrives at Lao Cai train station at about 6:00 am. 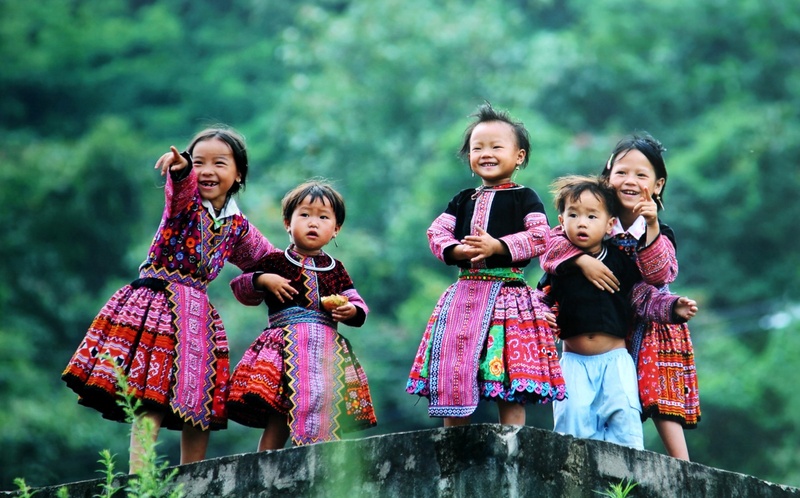 and then you will be transferred to Sapa town. It takes around 1.5 hours. Once at Sapa, you will check in to your hotel (early check-in subject to availability). You will have breakfast at the hotel restaurant then enjoy a free morning to explore Sapa town. In the afternoon, you will have a walking tour to visit and explore hill tribe villages of Cat Cat, home to the H’mong hill tribe minority peoples. As you walk to the villages nestled in the valley below Sapa, you will meet some of the local minority people on their way to and from Sapa. Here you will have the opportunity to share cultural experiences with the families that live in the area. You will stay overnight in Sapa. 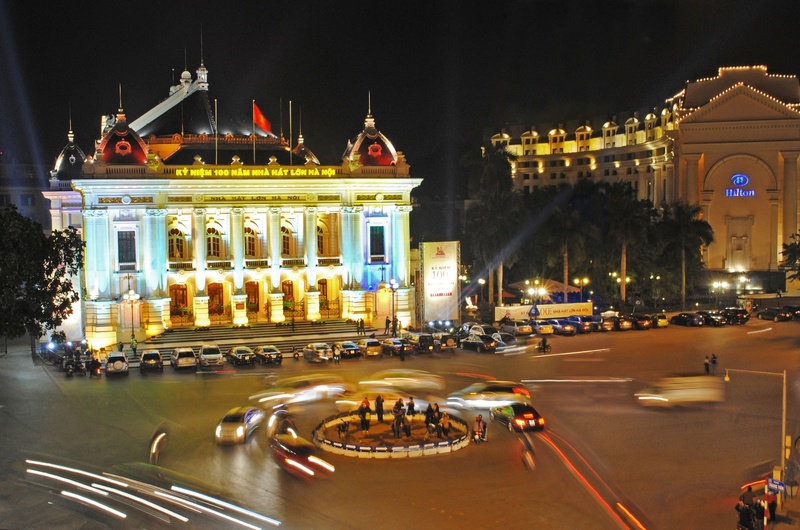 Arriving in Hanoi around 5 a.m., you will be picked up and go to a local restaurant for breakfast and morning coffee. 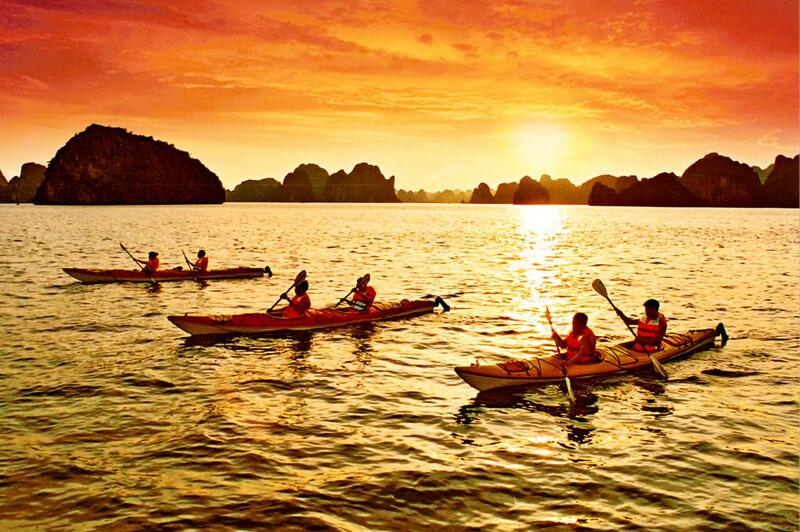 You will then leave Hanoi for Halong Bay, arriving at the jetty around 12:30 p.m. Upon arrival, you will boarding a junk cruise on the bay while lunch is served. You will pass through the magical bay, where thousands of sculpted limestone islands rise from the waves like dragons’ teeth. After lunch, you will take a short trek to a nearby summit for a panoramic view of the bay, swimming on a quiet beach or sunbathing on the sundeck. You will stay overnight onboard. Today, you will have time for an early morning dip followed by breakfast. Sitting on sundeck, you have nice time to enjoy beautiful sunset from rocky islands. After breakfast, explore Sung Sot cave (8 a.m. to 9 a.m.), swim and relax at Soi Sim beach. At 9:30 a.m., your boat cruises back to the jetty while brunch is served from 10:30 a.m. to 11:30 a.m. You will continue cruising through the bay, along the way seeing more of the fascinating formations. Cabin check-out is at 11:45 am. 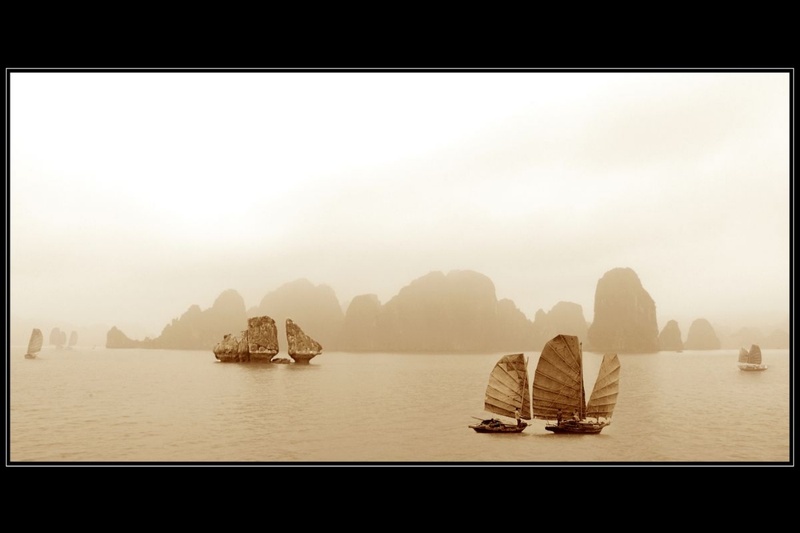 The boat arrives at the harbor around noon and you will drive directly from Halong to Hanoi and overnight in Hanoi. Private door-to-door pick-up & drop-off services. Vietnam Visa on arrival pre-approved letter. Other services not mentioned above . The list of hotels is recommended by Adventura Travel, but please feel free to advise us of hotels you prefer in each category or to combine hotels category at your wish discretion (tour price will be changed accordingly).